A collector and creator of ceramics and pottery, Pastor George has been studying and creating art in his studio for years. 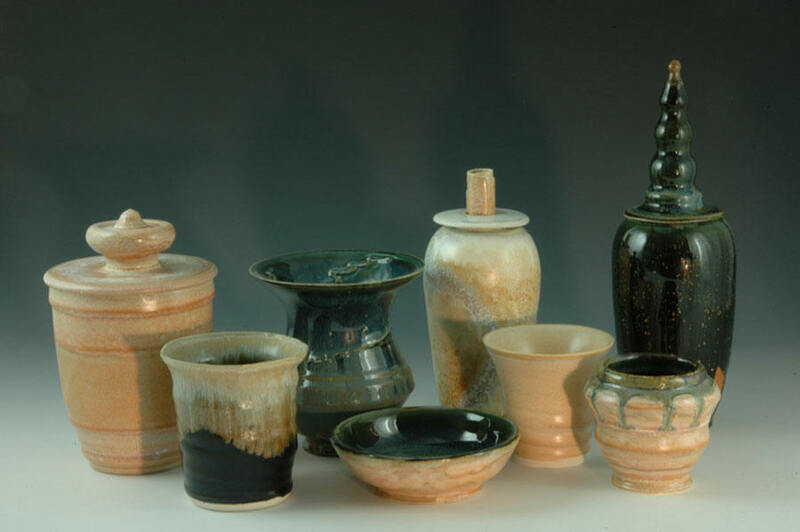 Ceramics are one of humanity's oldest forms of art and oldest methods of making useful implements (bowls, pots, jugs, even toys and weapons), and they go back at least ten thousand years. These forms are also among the most enduring because, fundamentally, ceramic pieces are stone. The clay from which they are made was once stone, ground down over time by geologic processes to a powder. When mixed with water, shaped and heated to near two thousand degrees Fahrenheit, it becomes stone again. Virtually nothing remains of early cloth, papyrus or other vegetable- or skin-based art and implements, but those that were committed to stone, e.g. the walls of a cave, ceramic tiles, frescos (color mixed into plaster made from clay), or pottery, have survived in considerable number and throughout the world. Ceramic art and implements last a very long time—not just generations, or centuries, but millennia. Much of ceramic artistry throughout history has been in the form of useful objects: pots, jugs, oil lamps and even toys, but much has also been art just for the sake of beauty: sculpture, tiles, mosaics and frescos, for example. This part of the site serves two primary purposes: education and enterprise. The education is all about ceramic art: definitions, links to artists, museums and suppliers, and examples from the artist's private collection. The enterprise is the sale of original works of ceramic art from the artist who owns and maintains this website. One-of-a-kind original ceramic art pieces by George Byron Koch. Bottom mark "Byron" and unique code. All pieces are porcelain unless otherwise noted. These pieces are still available for purchase unless otherwise indicated. Sizes are approximate height in inches and centimeters.